Smart Device Remote Control (powered by Wavelink) Assess and troubleshoot remotely, so workers get back on task. The biggest reasons you need Smart Device Remote Control. Check out these cool tools to manage Android deployments. Troubleshoot issues at the point of activity, so workers get back to tasks fast. Any time a device goes down, it takes productivity—and ultimately your bottom line—with it. You need that device up and running again as fast as possible if you're going to meet your customer commitments and corporate targets. Our Smart Device Remote Control, powered by Wavelink, helps speed issue resolution—giving support teams device access to replicate issues so they can diagnose and resolve problems fast. Whether hardware, software, connectivity, or something else, you need to determine what's keeping a worker idle. Our Smart Device Remote Control solution enables you to view settings, reproduce errors, and fix issues. See, first-hand, the issues users are reporting. 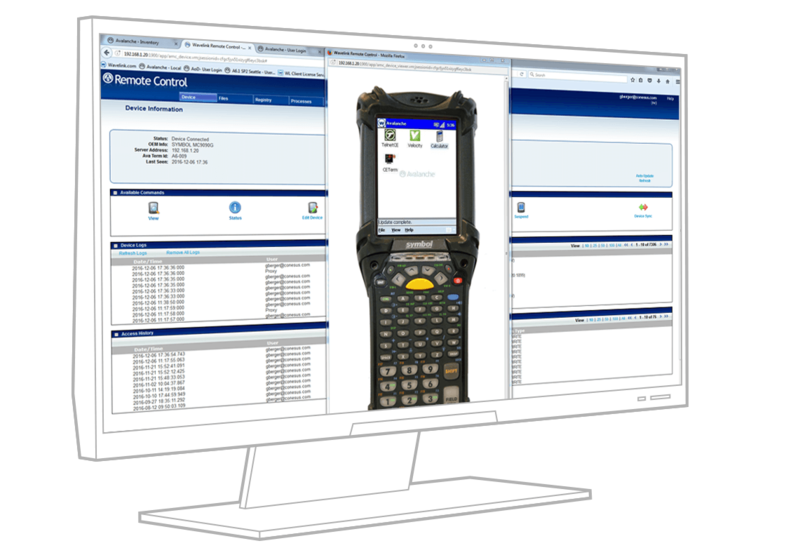 Avoid the dreaded "no fault found"
Test issues and verify configurations before shipping out a device for unnecessary service. Designed for Android 4.4 (KitKat) and forward, our remote control solution is ideal for your latest mobile deployments. Smart Device Remote Control empowers your support team to assess and resolve issues fast, so your workers can get back to the tasks that drive your business. Speed up your supply chain. We'll give you more information on Smart Device Remote Control. Remote troubleshooting gets workers back on tract, fast. Ask how.